Brand: BALTIC LINEN COMPANY, INC.
100% Grown in the USA, 100% Cotton Luxury 12 Piece Towel Sets are soft, luxurious and absorbent. These towels are made with cotton that was 100% grown in the USA. We support America's farmers, growers and producers of cotton. This set is made up of two 30x60 inch bath sheets, two 27x52 inch bath towel, two 16x28 inch hand towels and six 12x12 washcloths. 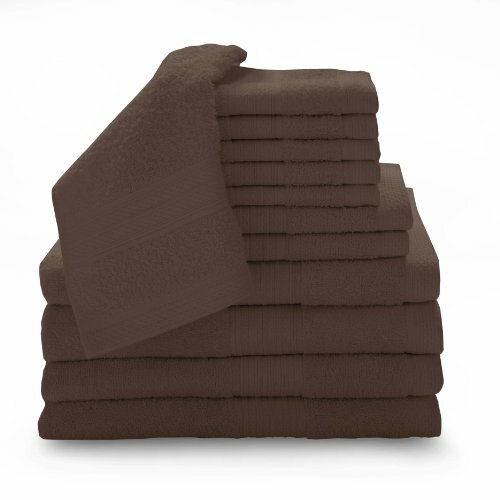 The towel is produced with a high quality 16 singles yarn for superior quality. This set is everything you need to for you bath, shower, spa or any other us for quality towels. Also a great starter set for a new home, apartment or dorm. It comes in 8 fashion colors including plum, cobalt, cream, espresso, neutral, cranberry, ebony and avocado green. If you have any questions about this product by BALTIC LINEN COMPANY, INC., contact us by completing and submitting the form below. If you are looking for a specif part number, please include it with your message.